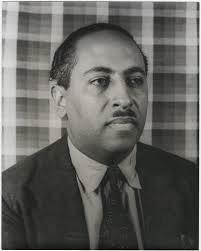 Poet, novelist and historian Arna Wendell Bontemps was born October 13th 1902 in Alexandria, Louisiana. His mother Maria Pembroke was a schoolteacher and his father Paul Bontemps was a bricklayer. His father was keen for Arna to follow him in the bricklaying trade but young Arna was determined to better himself and do well in school. Like many other black families migrating from the South, the family moved to Los Angeles when Arna was three years old. 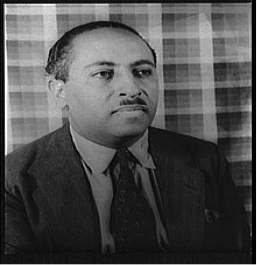 In 1923 Bontemps graduated from Pacific Union College in California and then moved into teaching with a post at the Harlem Academy, New York, from 1924. 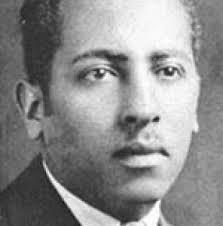 During his time there he started to publish poetry in various influential magazines which were popular with black people and begun to receive recognition in the form of the Alexander Pushkin Prize of Opportunity and in the Crisis Poetry Prize in 1926. This poem really showed the racism in terms like ‘yellow man’ and ‘blue-eyed man’ to denote whites and how, as he saw it, black men were somehow less deserving than others. 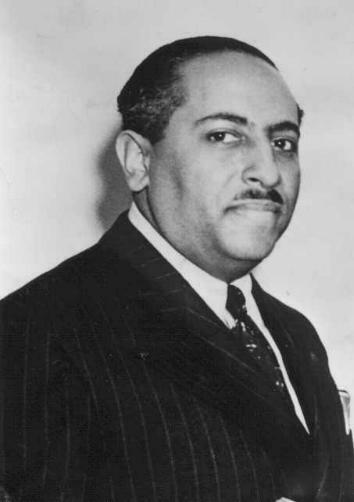 Bontemps decided the best way to combat and defeat racism and injustice towards black people was to reach out to young people. He achieved this through teaching in schools and writing children’s books. 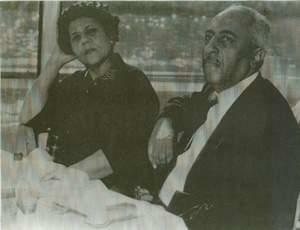 After marrying Alberta Johnson in 1926, and in order to escape the growing Depression, he moved his family to Alabama in 1931. There, he taught at Oakwood Junior College for three years. Bontemps’s first novel, God Sends Sunday, received mixed reviews. 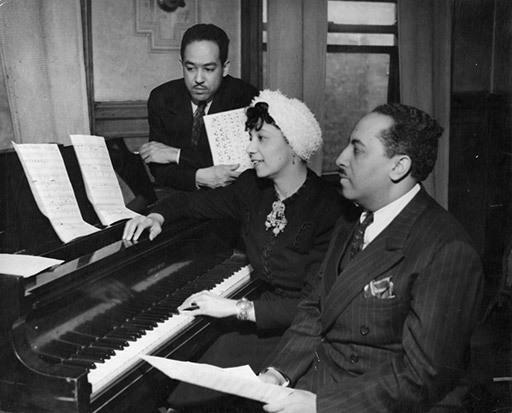 It was turned into a stage play in collaboration with fellow poet Countee Cullen, and then into a musical, even though the original story was by no means light-hearted. The show was beset by protests from African-Americans for its negative portrayal of black people but it managed to run for 113 performances. 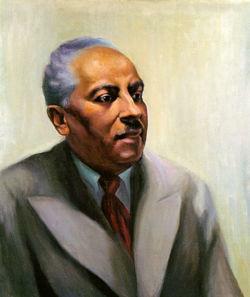 His children’s books, produced during the 1930s, included Popo and Fifina – Children of Haiti, and You Can’t Pet A Possum. Bontemps became disillusioned by the lack of proper recognition for his work and by the very little money he earned from writing. 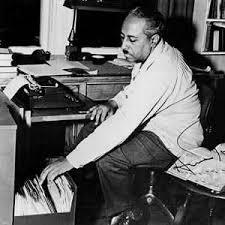 However he continued to produce works of great importance in chronicling the history of African-Americans, as well as continuing to teach young people and at the same time studying for a master’s degree in library science in Chicago. 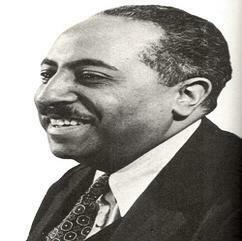 He died from a heart attack on June 4th 1973 leaving behind a great legacy of historical African-American literature. 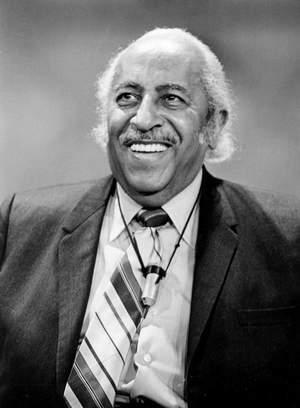 In 2002 he was included in a list of the 100 Greatest African Americans.